Practice Zazen even for a layperson? ●Practice Zazen even for a layperson? My answer seemed to satisfy my guest, and he left delighted. Then what does one think of while sitting quietly? What he should think of is his real self who sees, listens, laughs and cries. To think “Who am I?” is zazen. The result is the realization that not to think is the best thinking. In other words, the thing which one does not need to think of at all is his real self. This is exactly what the Japanese Zen master Dogen once said : “Think what you do not think.” You might say,” If one does not need to think, then why practice zazen?” But this is not correct. The mind is not so simple. It is filled with so-called instinct, habit, thought and intellectual judgment. These do not comprise the real self, but they delude the real self by arising from somewhere like a cloud or fog ; therefore, they can be called illusion or ignorance. In clarifying such a mind by quiet sitting, we will find the real self where there is no fog of illusion nor clouds of ignorance. To live brightly, correctly, and vitally in this realized true self is Zen itself. Zazen is the best way to acquire this quiet thinking and clarified mind. There are four meditation postures : walking, standing, sitting, and lying down. The sitting posture is the most quiet of these four. To sit, clarifying the mind, entering the state of no-mind where we do not think of anything is zazen. The ancestors said, “Not to think anything is the only training for being a Buddha.” To sit on this very ground is to become one with the whole universe. The Chinese character for sitting is symbolized by two people who are sitting on the ground. In the Western tradition heaven seems to me to be the secret place of God; the earth, dirty and sinful. However, in Oriental religion we find the light of the Buddha in sitting on this dirty earth. To grasp the wisdom of emancipation while within the dust and suffering through sitting is zazen. Mahayana Buddhism, that is to say, the way of the Bodhisattva, is a layperson’s Buddhism. Its core is the lay people who are to be saved in the midst of daily life in society, business and home. You will usually see Bodhisattvas with long hair wearing such decorations as necklaces, earrings or bracelets. By these we recognize the Bodhisattvas as the symbol of lay people. Among the Bodhisattvas we see that only Jizo has a shaved head. He is known as the Bodhisattva who incarnates himself in all six worlds of living beings-the worlds of hell, evil, and animals-in order to save those who are suffering from even the deepest agony. Such people in extreme agony would find their savior more certainly in a saint with a shaved head who has thrown away his desire than in one who is enjoying a luxurious secular life. In this respect, a Bodhisattva Priest is also required. As you may know, Saint Shinran (1173-1262), the founder of the Pure Land faith in Japanese Buddhism, never took off his priest’s robe or surplice though he strongly supported lay Buddhism. All who promise to seek the wisdom of awakening and to serve all human beings are without exception Bodhisattvas. Those laymen and women who join our zazen are also Bodhisattvas-Bodhisattvas who study prajna-wisdom. In the Buddha mind there are two aspects; wisdom and compassion, just as the sun shines making light and heat. My master Seisetsu Roshi used to say, “We Zen brothers who are wearing monk’s robes with shukin belt and surplice can be compared to the gift wrapped up with special paper and tied with a ribbon to present ourselves to Buddha. This style itself is the worshipping style for all human beings. Therefore, you must care for such a body as that which is not yours any more.” In this way, you must have great devotion to dispel all human suffering. In short, this is the Bodhisattva’s vow : “Though there are innumerable sentient beings, I vow to save them all.” When one utters such a great vow, he at once achieves his real awakening.He is already Buddha or a Bodhisattva although he has not been awakened yet. The bridge so busy that one night seems as ten. I vow to save all others since I am a priest. In this way, those Bodhisattvas who study Prajna-wisdom, whether priests or laypeople, must first have great compassion in saving all sentient beings, even though they are innumerable, and to make Buddhas of them. To practice zazen must not be for one’s own self but for all human beings in this society. It should not be done only for the comfort of oneself, much less for one’s success in life. To do zazen for such a purpose will cause you to fall into hell and be charged by the lord of hell for every meal you have ever eaten. Now we come to the state of mind where the way of zazen is taught. First of all, when we start zazen, we have to discard all that is connected with our sense organs and intellect. We have to give up everything around us. 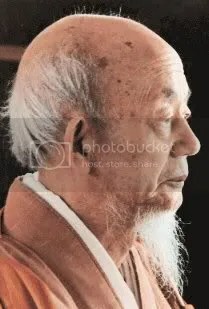 There are various lengths of zazen training : a ninety-day retreat, a one-week sesshin, two hours a night, ten minutes after washing one’s face in the moming and so on. In any case, during those times you have to forsake everything except doing zazen. You have to forget all those matters of official business, of home, of social relations, of the world situation; and about love or hate, joy or sorrow, loss or gain. He would at the same time be in Tao (Truth). I know a master of Utai (chanting of No texts) in Kyoto. He is widely known today, but in his younger days he had a diffcult time. He used to be a Christian but later began to do zazen at the monastery. He has told me that when one starts to sing the Utai, one begins with the word “Korewa.” The word “Korewa,” therefore, is the key word in the Utai, and upon hearing it one can judge the ability of the singer. As soon as the singer is able to identify with this word, he starts to sing. To train for singing Utai, my friend practiced zazen. He also says that the highest state of No dance is Zen itself. No dance is nothing but zazen in motion. There exists an unmoving thing in the movement itself. In other words, what is not moving is moving. This is the spirit of No dance where there is no separation between movement and stillness. In the same way, the art of tea and Zen are one ; the art of sword and Zen are one. You must train yourself for this oneness in your work in the garden, begging in town, in standing, and in sitting. Concerning meals (in the monastery), it is said in the Gokan-no-ge (five-line vow said at mealtime) that to eat good medicine (i. e., a meal) is only for the healing of the slender body. If a meal is taken as medicine, we must partake of it in correct measure in time and quantity. Originally, in the Buddhist precepts a snack was not allowed. From lunch of one day to breakfast of the next morning monks were allowed only liquid refreshment but not solid food. My teacher, under whom I studied Tibetan Buddhism in my youth, kept this strict rule throughout his life. For doing zazen, nighttime is most suitable for achieving samadhi (deep concentration). If one takes a meal in the afternoon, drowsiness causes difficulty in reaching samadhi. When one begins zazen, a quiet place is best. Though the great Zen master Daito Kokushi in his poem recommends a noisy place such as on a big bridge, this practice would be possible only for mature zazen students. Beginners would be distracted by the exterior disturbances, and passers-by would not be thought of as mountain trees as Daito Kokushi suggests. Upon finding a quiet place, situate a thick cushion as comfortably as possible for the length of time you wish to sit. Dress or belt should be worn loosely,yet without being sloppy. In his autobiography, Kodo Sawaki Roshi relates a humorous experience which happened in his youth at his master’s temple. One day all the disciples left the temple except the young monk, Kodo. 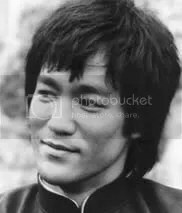 Having nothing to do he entered a small closet and practiced zazen. At that time the elderly maid of the temple came to the closet, opened the door and was so surprised to see him there, meditating, that she began to bow deeply again and again. Kodo thus realized how noble the zazen posture must appear. Zazen posture, having dignity, is Buddha himself. (To practice zazen) we must sit in a cross-legged posture (lotus posture). The Chinese word, kekka fuza, literally means folding the legs showing the soles of the feet. First of all, put the right foot on the left groin (the root of the thigh), then the left foot on the right groin so that both legs are crossed tightly. This is called kekka fuza which is a perfectly immovable posture. This position, however, is rather hard to maintain for the beginner because it may cause cramps. In such cases, hanka fuza is allowed. This is only a half-crossed legged posture. Either leg can be put on the other. The posture in which left foot is placed on the right thigh is called kissho-za and the opposite is called goma-za. After the legs have been fixed, put the right hand on the crossed legs and the left hand on the right palm, making a small round circle with the thumbs barely touching each other. Next, raise the body quietly and move it forward and backward, to left and right several times to fix the central axis of the body. Then sit upright, extending the backbone as much as possible. Our teachers compare this to the bamboo that is so straight that a stone dropped from the top of it reaches the bottom without any interruption. The perfect posture of zazen creates an isosceles triangle with legs and backbone forming a ninety degree angle. We have to be very careful not to bend too far forward nor too far backward. In this way the zazen posture should resemble a stupa by piling up hip bone, backbone and skull, one on top of the other. In India after the Buddha’s death, eight stu-pa (or pagoda) were built in eight districts to be worshipped as symbols of the Buddha…. In Burma and Thailand the pagoda is considered to be most holy. In China and Japan there are many outstanding pagodas made of wood, stone and marble of three or five stories. When we investigate the framework of the five-story pagoda, we are surprised to discover its layered structure balances by hanging from a central axis from the top of the pagoda instead of being built up from a stone base. For this reason these pagodas have stood a thousand years in countries of frequent typhoons and earthquakes. Our human life should be like that. If we are free from all disturbance from the outer world and the inner world, we might remain apart from all attachments, progress to the world of Nirvana, and grasp eternal life. This is zazen. Zazen requires a correct and orderly posture, yet it should not be too strained. It is not recommended to throw the head so far back that others feel uncomfortable. Since it is said “Zazen is the dharma teaching of comfort”, it should be done in a totally relaxed and comfortable position. However one must make the body erect by straightening the backbone directly upward. Ears and shoulders should be parallel, nose and navel also. But it would be almost impossible to keep nose and navel in one line unless one’s abdomen is extended outward as much as possible. “The tongue should touch the upper jaw.” The author of the text is very careful even about small parts of the body. It is true that every part of the body should be correctly positioned, otherwise correct zazen cannot be done. Lips and teeth should be closed. Eyes should remain slightly open so that an area only three feet ahead can be seen. People might suppose that with the eyes closed, one could reach calmness more easily ; however, that is mistaken. Closing our eyes, our mind fills with illusions, and we might easily fall asleep. The patriarch, taught us to open our eyes as much as possible in zazen just as the picture of Bodhidharma, the founder of Zen Buddhism, shows us. We have never seen a picture of Bodhidharma with his eyes closed. Even though visual distractions occur, you should always be free from them, letting them go as they arise. If you become accustomed to zazen with your eyes closed, zazen will be ineffective when your eyes are opened, especially in busy places. On the contrary, if you train your samadhi power throug11 open-eyed zazen, wherever you are, you will not lose your power of meditation. The above has outlined the way to sit. Next we must regulate the breathing. To regulate breath is very important in zazen. The ancients knew that any person can understand breathing, so that teaching the control of breathing is extremely important. Concerning the breath, there are four ways of meditation explained in the Tendai texts. They are fu, zen, ki, soku. Fu implies snorting breath. This is not good. Zen means purring breath which is also not good. Ki means disordered breath, sometimes too fast, sometimes too slow. Lastly, soku means the most perfect breath which is continuous and quiet as if it were faint breath. We have to shape our breathing into such long deep breaths. The ancients made a strenuous effort to practice such breathing. Some of them even placed feathers on their noses while meditating. For correct breathing : exhaling, pull in your abdomen; when you’ve exhaled all your air completely, you will naturally inhale; air will flow in and your abdomen will expand. While exhaling, include the counting of your breaths. Continue this ring of consciousness, repeating the counting without any pause at all. If a pause occurs at this time, illusions and mirages will come into your zazen at once. If even one illusion is raised, cut it immediately with your concentrated breathing. With the physical posture and breath controlled, start zazen in a relaxed way by naturally concentrating your strength in your abdomen. We must now control the mind or, as the text states it, “Think not of good and evil.” It is, however, unimaginably difficult to control the mind. The Buddha said, “The mind is like a venomous serpent, a wild animal, or a sworn enemy.” You might think that while sitting in such quiet circumstances nothing arises to disturb the mind, but it is not so. The quieter the circumstances become, the more disordered the mind may grow. Many things may appear, one after the other. Even the great Hakuin Zenji confessed that while he was doing zazen, he remembered such a small event as the lending of a few bowls of rice and beans many years before to the next door neighbor. It is strange that we remember the things we do not usually even consider. In the meditation hall only the sound of the bell and wooden clappers enter through our senses, but many things arise in the mind to be considered. We come to realize how much man thinks about the unnecessary ; how corrupted man’s mind is. Our mind is polluted like a muddy ditch from which marsh gas constantly springs. We cannot imagine what will appear or spring up. Buddhism calls this dirt encrusted mind alaya, which means an accumulation of subconscious images. To cut away this mass of delusion with the sword of prajna-wisdom, so that we may discover the bright mind of the real self, is called the controlling of mind. As the text says, we should not think good or evil, advantage or disadvantage, love or hate. This no mind state where nothing exists is the correct posture of the mind. Dogen Zenji says, “Don’t think anything.” He recommends controlling the mind, pointing to the real self which is the mind of nonthinking. Since illusion and delusion, like mist, have no substance, they will disappear if we do not focus on them. In Zen Buddhism we also throw away all illusions by concentrating our mind on the problem the koan suggests. Therefore, the text says, “Be aware of illusions, then they will disappear.” Cut all illusions. Concentrate your whole mind on the koan, day and night, without any dualistic consciousness. Then, naturally, the inward and outer worlds, self and universe, subject and object, become one. In due time, the event we have sought is realized, yet it cannot be explained. At that moment we experience the inexpressible comfort of spiritual freedom, and the unique flavor of zazen springs up from the deep. Once breaking through [the mass of great doubt] as if with the sword of General Kwan, one gains the great freedom at the juncture of life and death to kill the Buddha when he meets him, to kill the Patriarch when he meets the Patriarch and so receives the freedom of enjoying the situation wherever he may stand. We must have such a breakthrough experience where we realize real subjectivity and real freedom. There man becomes the master of the world and there evolves his life of negating and creating freely. Zazen is, in this way, more than control of posture, breath and mind, but also, on a wider scale, circumstances, family and, fially, society. Therefore, zazen is not easily accomplished. ~ by James Myoe on December 19, 2007.